Gastroesophageal reflux disease (GERD) has been a common disease in Western countries for many years but population studies have always indicated a lower prevalence in Asian countries. But a new large-scale study across Shanghai and Beijing in China has revealed the prevalence for GERD in the Chinese population is much higher than previously reported. In a study of more than 1,000 patients across nine hospitals in China who had showed persistent, troublesome symptoms for at least four weeks, saliva samples were analysed for the presence of the stomach enzyme pepsin. Pepsin detected from saliva samples can be regarded as a biomarker of a reflux event for the diagnosis of gastroesophageal reflux disease. 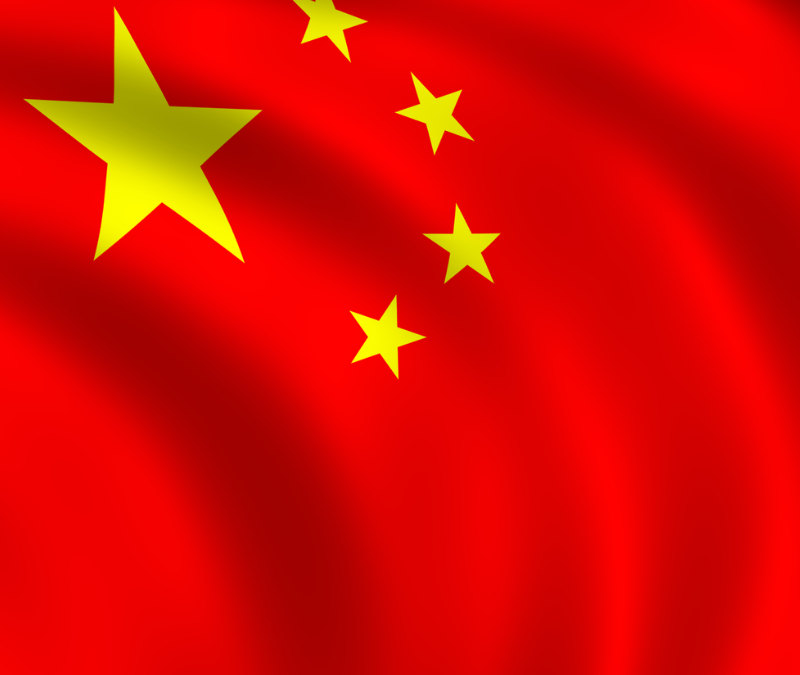 The study revealed the prevalence for GERD in the Chinese population was much higher than previously reported. Suggestions for this key result include a fast-growing Westernised lifestyle in the country and previously GERD was often underdiagnosed. Researchers concluded that the introduction of Peptest will be useful in helping to understand reflux disease in the Chinese population. “The recognition of pepsin as a biomarker for GERD, together with Peptest, enables the rapid diagnosis in clinical samples. The non-invasive, rapid test improves the accuracy of reflux diagnosis complementing the use of questionnaires and invasive diagnostic tests to better tailor an appropriate course of treatment. The introduction of Peptest will be useful in advancing the knowledge and management of the disease,” the report concluded. 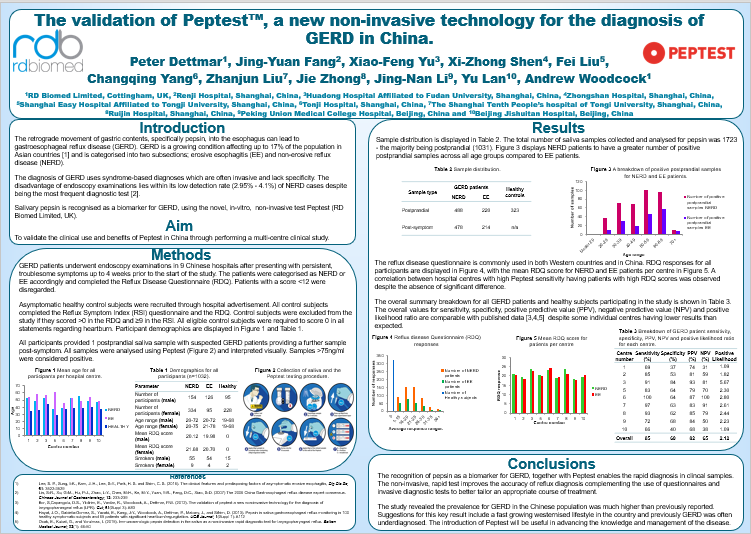 The validation of Peptest™, a new non-invasive technology for the diagnosis of GERD in China report will be presented at United European Gastroenterology Week 2018 in Vienna on 22 October. UEG Week 2018 – from 20 to 24 October – is the largest gastroenterology conference in Europe and deemed the most important gastroenterology congress for anyone interested in digestive health and disease. More than 14,000 participants from more than 120 countries are expected to attend. Professor Peter Dettmar and Andrew Woodcock from the RD Biomed team will be at UEG Week.